Addressing a rally in Bihar, PM Modi said, “When Modi comes back again then their corruption will be completely finished, their dynastic politics will be finished, their loot in name of poor will stop, their politics of case and religion will stop, tukde tuke gang bhi tukde tukde ho kar bikhar jaeyga”. Prime Minister Narendra Modi on Thursday stated that ‘Mahamilavati’ gang were afraid that if he returns to power, their shops of corruption and dynasty politics will be shut down. 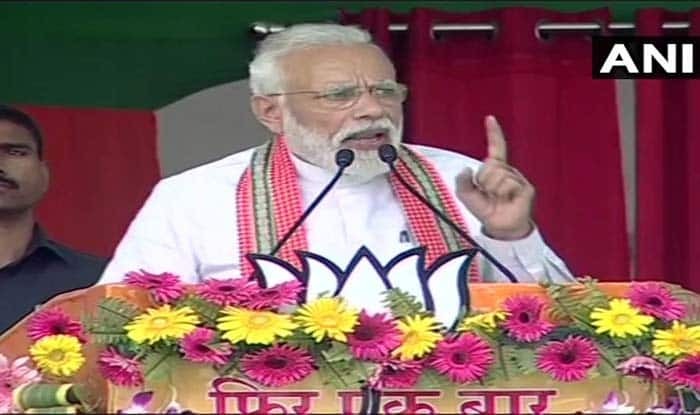 Addressing a rally in Bihar, PM Modi said, “When Modi comes back again then their corruption will be completely finished, their dynastic politics will be finished, their loot in name of poor will stop, their politics of case and religion will stop, tukde tuke gang bhi tukde tukde ho kar bikhar jaeyga”.